Nashville, TN (September 18, 2015)~ After two consecutive multi-week #1 hits for RED BOW RECORDS (“Sunny and 75” and “Yeah”), Joe Nichols is back and waving his freak flag high today with the release of his self-defining new single, “Freaks Like Me.” The upbeat, straight-talker — sure to become an anthem for traditional country music lovers — is available now at all digital retailers and is set to impact U.S. Country radio this Monday, September 21. 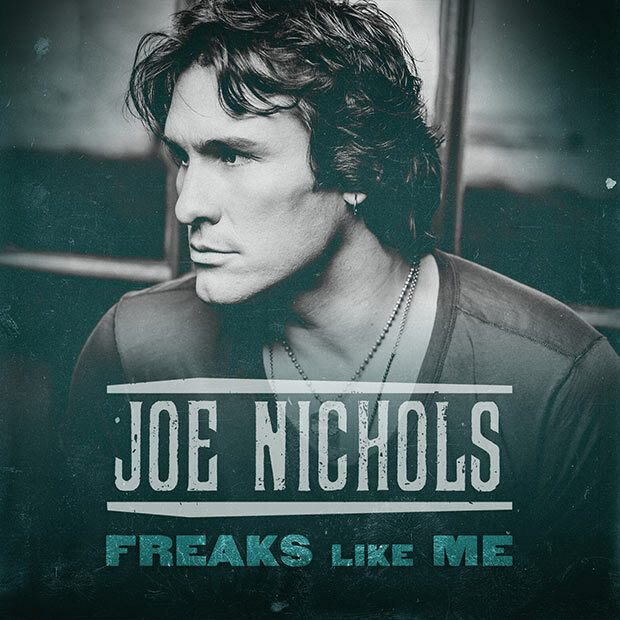 “Freaks Like Me” pairs Nichols’ rich baritone vocals with classic country guitar riffs and an undeniably catchy hook. The song bridges the gap between the star’s signature traditional country sound and a contemporary energy that resonates with today’s country music fans. “Freaks Like Me” lyrically captures Nichols’ traditional, simplistic values that continue to cement his brand of storytelling in an ever-changing musical landscape. Produced by Mickey Jack Cones (Dustin Lynch) and written by songwriters Monty Criswell, Josh Thompson and Lynn Hutton, the up-tempo “Freaks Like Me” serves as the lead single from Nichols’ upcoming RED BOW RECORDS’ project (the ninth studio album of the country star’s career), due out early next year.